A new company under the name of Armadillo Scooter Wear has attempted to update the old parka, replacing it with the Urban Parka. 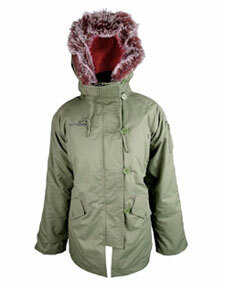 Available for men and women (the women’s one is pictured here), the Urban Parka is designed for scooter riding and adverse conditions, featuring armour in the shoulders and elbows if you come off, a waterproof/breathable fabric and specific pockets for a mobile, MP3 player and headphone loops. You can pick one up in the khaki or black, with both costing a lot more than the old army surplus – at £175.